Marina and I returned home from Houston late Wednesday night. After trips to London and Mexico City, we were tired to say the least… but also very excited. 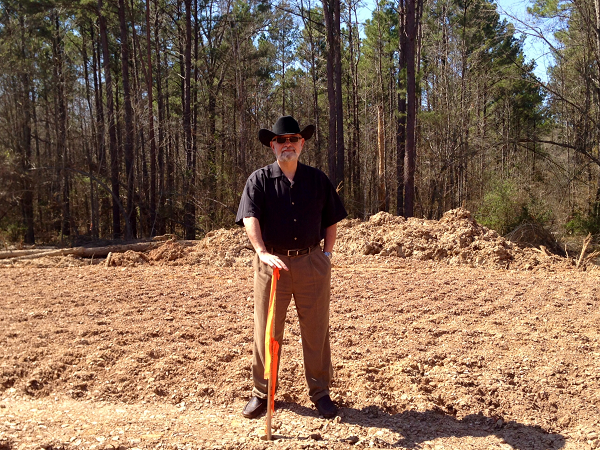 That’s because our latest trip allowed us to spend several days visiting the initial drilling sites for Money Map Project #1 in South and East Texas. After touring the site, I’m now happy to report the first well, the Willard Unit #1H, in the Austin Chalk formation in South Texas is rapidly nearing completion. When the final horizontal drilling segment is completed in about two weeks and the entire well is set for production, our operating company will officially “call” the well. At that point, no further investment will be allowed into our 25-well project, marking a major milestone. This is pretty country where grazing longhorn cattle coexist with pumps moving oil and gas out of the ground. Of course, the road to this point has been a long one. But when the SEC changed its regulations in late September of last year, the prospect for average investors to become partners in an actual oil and gas drilling projects became a reality for the first time ever. As I have written to you since then, these changes have allowed me to phase in an entirely new investment approach I had been working on for over two years. It involved hand-picking a few companies and projects that agreed to the ten tough provisions I had created to provide a better return for direct oil and gas investors than anything ever attempted in the industry. Simply put, it offered Money Map Press subscribers – who were also “accredited investors” – the opportunity to invest in a private oil and gas deal at a fraction of what earlier investments in such projects would cost. What’s more, I would be overseeing the investment moves in each of these projects to maximize their returns by selecting programs using very stringent geological and drilling requirements. And today, what I can tell you is, that what started as an idea, is now rapidly turning into one of the most potentially lucrative opportunities I have ever developed. In fact, Money Map Project #1 is already receiving a lot of attention throughout the rest of the industry. But that’s not too surprising. After all, this is the only new venture that has been rolled out since the revisions in SEC regulations. The good news is Money Map Project #1 is just the first in a series of such direct investment plays I will be unveiling in the months ahead. So your prospects for cashing in have never been better. Stay tuned, there is much more to come. After all, getting an “eye ball view” of the Willard drilling project, along with surveying the sites for our next set of wells, about 400 hundred miles away in East Texas, was the reason for our trip. While on site, I had a chance to discuss the status of the Willard drilling program with the field manager and crew while examining the rig in operation. We had to be careful because the drilling was entering its final phase. This involves the bending of the pipe to the horizontal section for the last race to the end of the drilling program. In this process, tons of pipe are moved up the 150-foot rig, connected and then moved downhole with amazing skill. But we also needed to watch where the pipe was and position ourselves accordingly. The roughnecks were not about to screw up their schedule simply because we were there! With all of this metal moving about, there is always the constant danger of a spark setting off a fire. So everybody had to wear fire retardant clothing along with steel-toed boots and hardhats. Nonetheless, on the drive down, Marina managed to find “stylish” gear at the Tractor Supply Store in Giddings, Texas. Regardless of where we find ourselves, she can always find a way to make a fashion statement. Anybody who thinks this is not a high-tech operation has never seen a horizontal play in operation…or the battery of computer screens in both the rig’s “dog house” and the operations trailer nearby. As for the second leg of our travels, we drove out to East Texas, about a ten-hour round trip. The location was the rolling hills around the historic riverboat town of Jefferson. At one point in the nineteenth century, Jefferson was the largest “city” in Texas. These days it is the center of a drilling region that has generated massive oil and gas profits for more than fifty years. Our project in this area will consist of drilling multiple wells from large leasing acreage in a highly productive basin. Our first location has been set and initial preparation is already underway. It is called the Manziel #1 (yes, we are drilling on the land of that family, from which a certain grandson is now making news in another profession). On site, I walked the drilling pad and talked to the engineers who were making their final preparations to begin drilling. It is remarkable to see how much equipment and expertise is required to build the roads, clear out the locations, as well as transport in the huge drilling rigs and all the support that goes with them. These wells in East Texas will be shallower and vertical, resulting in quicker completion than those we are drilling in the Austin Chalk formation down south. As a result, our flows (and profits) will be accelerating due to the mixture of quick-producing wells in one region combined with deeper and larger pay zone sites in another. I also had an opportunity to spend some time with the other professionals on the team. These included a range of people from the chief land man (who identifies all the land and deed records for the acreage, conducts initial negotiations with land owners and processes all the county courthouse leasing and legal paperwork), to geologists, engineers, pipe managers, and the heavy equipment specialists who move around those huge “Tonka toys” that turn sites into drilling locations, access roads, storage tanks, pipeline locations, and the many other components of an operating drilling site. These folks and the land they work in South and East Texas have a way of growing on you. So does the prospect of a huge oil and gas project; actually, the first of several. These projects are certainly breaking some new ground offering investment opportunities for average folks that simply did not exist only a few months ago. You can expect further news in a few weeks on the next gangbuster project. By that time, oil royalties will already likely be flowing into the pockets of those who came on board for Money Map Project #1. Ken. That’s great news to open up another drilling project , but lighten up on the asset qualifications I’m sure there are plenty of us who would climb aboard if hey weren’t shut out by certain rules. Thank you for sharing your vast knowledge I would love to meet you one day. How do we get a chance to join the next oil project? Would have been on board but only have 6K, no 12K to invest. Why not a lower entry option? After reading “When the final horizontal drilling segment is completed in about two weeks and the entire well is set for production, our operating company will officially “call” the well. At that point, no further investment will be allowed into our 25-well project, marking a major milestone” I want to know the minimum amount that can be invested and the length of time it will take to able to liquidate the shares in the project. I hope that this investment will be the winner that Dr. Kent is recomending. I have not done well in oil investments in the past. I agree with Drew and Danny…we are the average folks who follow your advice, not the accredited investors. We want to be included in this type of oil project/investment. Is there another way, other than being already wealthy, to participate? How about forming a LIMITED PARTNERSHIP, with you being the General Partner and us average folks the limited partners. At least then we would be able to share the wealth. Please give us a chance! I seem to have missed the first drilling. How much is the initial investment? I have the same question as Jack Gately in that we missed the first drilling. I am most interested to know of any future opportunity to participate in such project. I love the idea about a limited partnership! I too would like to participate in these investments. I am an accredited investor who would like to participate if there are spots left in this new venture. Pleaselet me know. Would have signed up earlier but probably missed it due to the volume of annoying daily emails from your publisher which i have to throw away! 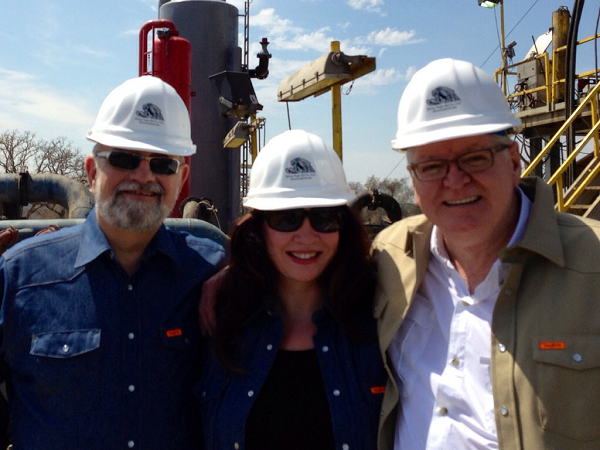 I’ve been involved in numerous oil and gas drilling and productions operations. There is a reason they want you to be a qualified investor, that’s so when you lose your money you’ll still be able to put food on your table. If there wasn’t risk involved they wouldn’t have to advertise for investors. Unless you have money to lose just buy stock in an oil company and be happy with some growth and a dividend. I am new to this service, I take it by the above discussions that this program is an older one and fully subcribed? When will you consider a new program offering? I have participated in several of these partnerships previously and would like to do so again. I must have missed the boat. Can I still get in? what must I do to participate? I am unsure what the website box requires. Like some of the above comments, I would mlike to jint the next project you are launching. How and when this will be implemented? Please let me know the start of your next project. We have a few investors who would like to take a shot at it. Please let us know in advance before it hits the ropes. Why not a “company” owned by those of us who don’t have many thousands of dollars to invest BUT would still like to be a solid part of an oil company as its owners? Having invested extensively (and successfully) in the stock market for years, I would like very much to diversify our holdings and look forward to working with you on your future projects. However, if there is space available in the first project, that would be my first choice. Please let me know.,, I can move quickly. Thank you. I am reconfiguring both my RRA and my IRA. Is there any restriction for such accounts to invest in MM #1 or similar projects? How do I invest in the MM#1 project?